Whether you succeed as an individual or in business, you succeed in the context of society – people. People who network with more and better people tend to have greater leverage, power and success. Would you like to build a better network and achieve greater success? 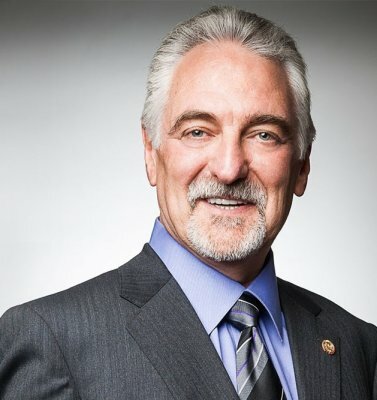 Dr. Ivan Misner is the Founder and Chief Visionary Officer of BNI, the world’s largest business networking organization. He knows what works, and what you could benefit from. He founded BNI in 1985. The organization now has over 233,000 members in 8,400 chapters who meet weekly across every populated continent of the world. BNI Members generated more than $14 billion in closed business just in the last 12 months alone. Called the “Father of Modern Networking” by CNN and one of the “Top Networking Experts to Watch” by Forbes, Dr. Misner is considered to be one of the world’s leading experts on business networking. Dr. Misner’s Ph.D. is from the University of Southern California. He has written 21 books including his latest release, “Who’s in Your Room?” He is a columnist for Entrepreneur.com. Oh, and in his spare time, he is an amateur magician and a black belt in karate. Why are referrals the best form of networking? Why should you build relationships and then farm them for sales? Transactional vs. relational sales people - who does better? Are you wearing a bib or an apron? What is the VCP formula for better networking? Who make better salespeple - men or women? How should a woman going into a room full of men network with them? What is the right combination of mindset and skillset for effective networking? Referrals could be free but they require two things. What are they? Where can you find a networking coach? Why do you have to be more interested than interesting to be a good networker? What is the war of dueling monologues? What is the most important insight about networking that Ivan learnt that could help you network better? P.S. I realized a rather obvious thing. Most of us read articles like this but never act on it. You can only learn and get better results from the insights when you L.P.T. – listen, practice deliberately and tell/teach others, whether they are colleagues, friends or family. Implement the principles of developing expertise from Dr. Anders Ericsson. I hope you L.P.T., whatever you glean from this. Business thinking is the examination of a simple question “How can every person provide value and receive value in return?” because that is what makes the world go around. We want to keep the content as open as we can to foster greater business thinking, spread ‘business thinking’ around the world and raise living standards (click to read ‘My Why’). WE PROMISE to deliver ‘business thinking’ value every day! If you find the content we provide valuable, please support us with a one-time or recurring contribution with your credit or debit card by clicking on the button below. Please help us deliver original and curated content on business thinking and success because it can assist you to do better in life and strives to make the world a better place where everybody is focused on providing VALUE. WE PROMISE to deliver ‘business thinking’ value every day! Please support the Business Thinking Institute.